The Soviet version of a Georgian table with shashlyk and lavash breads. If you think of the Soviet period in Russia as a culinary desert, a new book in English by the country's most prominent food historians, Olga and Pavel Syutkin, may change your mind. "CCCP Cook Book: True Stories of Soviet Cuisine" was commissioned especially for an English-speaking audience by the FUEL publishing house. 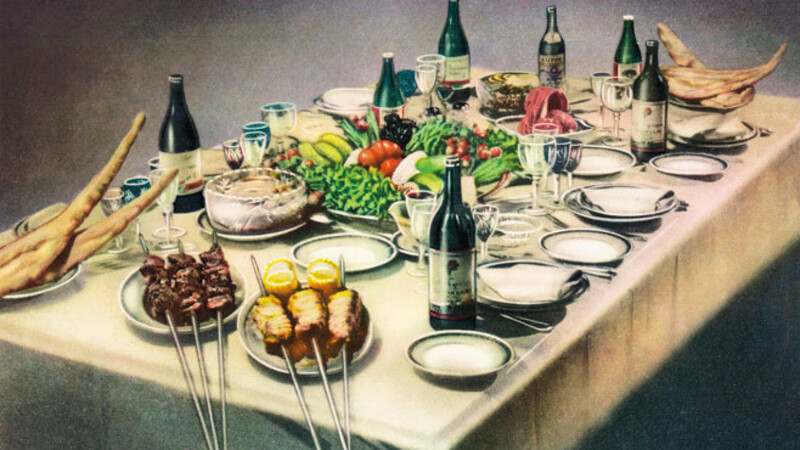 It is a compendium of 60 recipes that were developed during the Soviet period, from pre-dinner drinks — a champagne cocktail — through soups, salads and main courses to, at the end of the meal, some spectacular sugary, buttery, and creamy desserts. For people who remember the greasy meat ragouts and mayonnaise-laden salads of the late Soviet period, these recipes will come as a revelation. The Syutkins are Russia's premiere historians and advocates of Russian cooking. In the past five years they have written — or perhaps rewritten — the story of Russian cuisine in hundreds of articles, television shows, and cooking workshops. They are best known for their series of books: "The Real Story of Russian Cuisine," "The Real Story of Soviet Cuisine," and "The Real Story of Russian Products." Both Pavel and Olga grew up in the southern part of European Russia. And as Pavel Syutkin said in an interview with The Moscow Times, "Olga and I grew up in culinary families where we liked to eat and cook good food. It was something that our mothers and grandmothers inculcated in us." 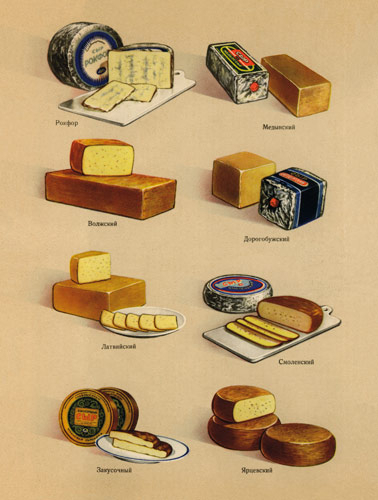 A variety of Soviet-made cheeses before the era of import substitution. And Pavel Syutkin was first trained as a historian. He was a graduate with a Ph.D. in history when the Soviet Union dissolved, and to support his family in the 1990s, he took up business. About five years ago he realized that he could take a break from the rat race, and so he returned to do "what I loved and what I wasn't able to do in my youth." The couple combined their knowledge and love of good food with his expertise as a historian and began to study Russian cuisine. "And as we studied it," Pavel Syutkin said, "we came across a huge number of legends, inventions, and other falsities that had nothing to do with reality. So we decided to do something about it." Working on the history of Soviet cuisine was quite different from examining pre-Revolutionary Russian culinary traditions. Olga Syutkin said, "It's the food of our childhood and youth, so no matter what, it was we will always think of it with warm feelings." And it isn't ancient history. "We found people still living here who could tell us things about the real history," Pavel Syutkin added. Although the general tendency is to see the Soviet period as one of the destruction of the intricate, subtle and complex cuisine of the tsarist period, the Syutkins are not so categorical. 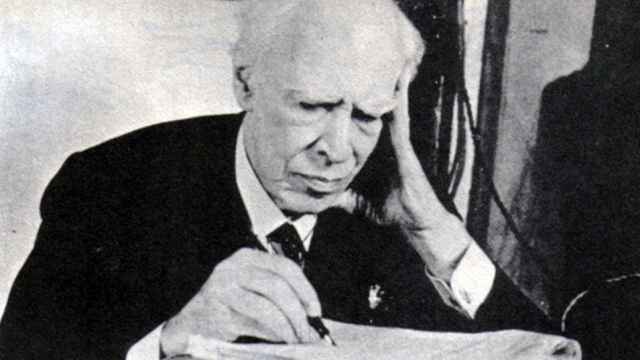 Pavel Syutkin said: "Imagine the hypothetical situation that there was no revolution and the tsar continued to rule. What would have happened? Many features of Soviet cuisine would have appeared anyway. 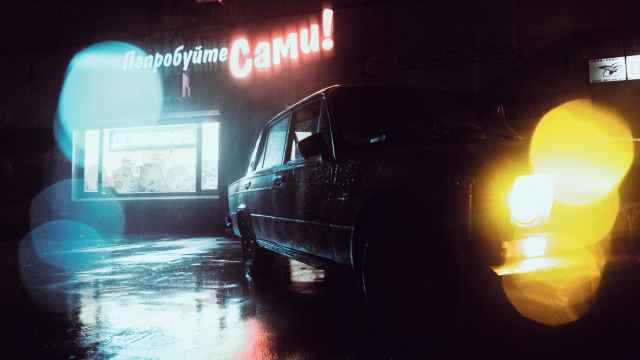 It was the cuisine of an industrial state — and what occurred here happened in other developed countries: fast food, a mix of many national cuisines, new kinds of canned goods, concentrates, and ready-to-eat food. These are foods that help women who are working full time." They also appreciate the thousands of talented specialists who worked in the test kitchens of culinary institutes developing new recipes. 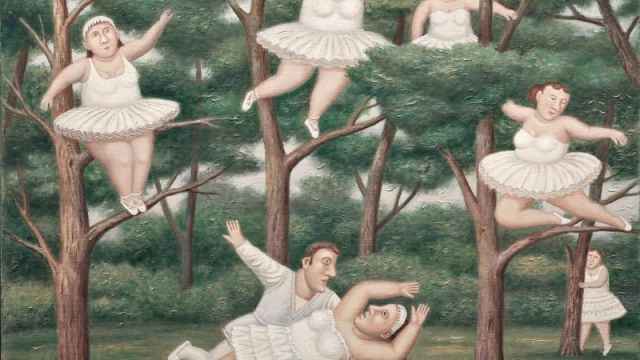 "Now we might consider some of them funny," Olga Syutkin said, "but many are delicious, like Kiev cake, Prague cake, and 'bird's milk' cake." The Syutkins have compiled some of the best recipes from the Soviet era in this English-language cookbook, produced to look as if it were beamed into the future from about 1959, complete with the slightly fuzzy and very stylized illustrations from old cookery books. The translation by Ast A. Moore is delightfully idiomatic and accurate down to every last gram and cut of meat. Each recipe is introduced by a story that puts the dish into the cultural, economic and political context that produced it, showing how Soviet cuisine evolved over 70 years. Some of the stories are as entertaining as they are illuminating. 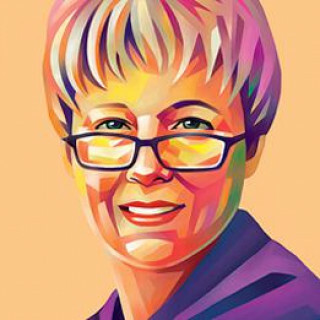 For example, how did the early Soviet government convince people to try the new canned fish products developed by Foreign Minister Vyacheslav Molotov's wife, Polina Zemchuzhina? They pulled off a legendary public relations stunt. Molotov announced that smugglers were using the cans to transport contraband pearls to the West, and to illustrate his point, he opened a can and pulled out a pearl necklace. The cans flew off the shelves. The CCCP Cook Book is the best kind of cookbook: You can read it like a novel, or use it to cook up some terrific dishes. 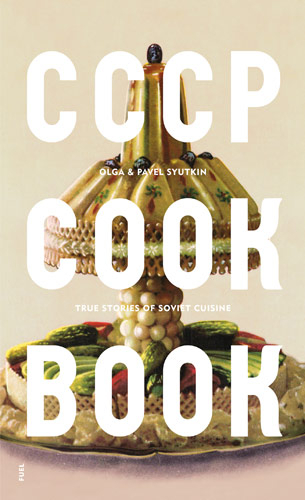 CCCP Cook Book: True Stories of Soviet Cuisine by Olga and Pavel Syutkin is published by FUEL and available in both the U.K. and U.S.